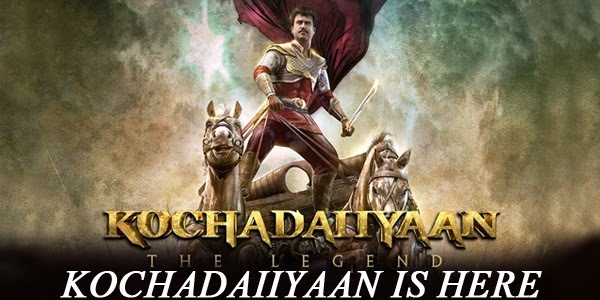 The much awaited wait was over a day back as Kochadaiiyaan’s audio release happened! Well the launch we must admit that the launch happened with great pomp and pride at our very own Sathyam Cinema’s. Well considering it is the Mozart of Madras who has composed these tracks, we know what kind of work it would have involved. With ARR sharing a special bond with the ‘Thalaivar’ we are sure that the creativity in all forms of music will be oozing out of the instruments too!Well needless to say, ARR- Rajini Combos have always been the best and examples like Enthiran, Padayappa is enough to make us understand. The album has 9 tracks and each of it has an attractive factor of its own. Vairamuthu has penned down the lyrics for almost all the songs except for one which has been penned by Vaali. When it is Rajini and A.R.Rahman, we know there is another person who makes this combo a hit through his voice and that is none other than our very own S.P.Balasubramanian. He has sung two tracks in the movie namely ‘Engae Pogudho vaanam’ and ‘Medhuvaagathaan’ along with the beautiful voiced Sadhana Sargam, which we are sure will become a classy hit amongst the love birds. What is amazing about this album; to make the movie super – we have Superstar himself singing a track, for the first time ever! Called ‘Maattram Ondrudhan Maaradhu’, Rajinikanth has struck a chord along with the budding singer Haricharan. The jathi’s used in the song seem very catchy and ofcourse uma Sekar deserves all the credits for it. One can say, nothing is complete without the lady of the house does her contribution! And to complete the circle, latha Rajinikanth too has sung a song called ‘Manappenin Sathiyam’. Well, Latha Rajinikanth singing for us is not the first time but we consider this track a good listen. "Kochadaiiyaan" Ensemble that ofcourse needs no description. A well structured one, we think all the music buffs will also love it. ‘Manamaganin Sathiyam’ is a good attempt by singer Haricharan, a catchy song ofcourse. A beautiful instrumental put together is ofcourse ‘Rana’s Dream’, a soothing yet powerful piece of brilliant music. Ofcourse, we would like to keep the best for the last and that is why we are happy to mention that A.R.Rahman has also sung a song for the movie titled ‘Karma Veeran’ along with A.R. Raihanah . A cherry on the cake ofcourse! Now the next wait continues – the release of the movie.